While obtaining a Bachelor of Theology from Flinders University, Russell saw the importance of the creation message as a means of defending his faith. At University, Russell endured an ultra-liberal teaching curriculum of biblical studies and theology that accepted evolution as fact, while the true history of origins in Genesis was regarded as poetry or story telling. Regular reading of Creation magazine and web articles from CMI helped Russell to defend his faith from the onslaught of theistic evolution. Prior to entering full time studies, Russell was a member of the Australian Defence Force, serving thirteen years in the RAAF as an avionics technician, on a variety of aircraft types, including the F/A18 Hornet and the Blackhawk helicopter. In the past, Russell was part of a street preaching team that conducted open air preaching and one-on-one evangelism on the edge of Rundle Mall in Adelaide. In a setting such as this, he has experienced the relevance of the creation/evolution controversy and affirms that the lie of evolution is the major stumbling block people have to the Bible as God’s word, especially with the youth. Many one-on-one conversations have revealed that people are so indoctrinated that they are almost totally immune to the concept of ultimate right and wrong. Dinosaurs, carbon dating and the Flood are among the objections ‘thrown’ at the preacher. During one discussion, an atheist revealed that Christians who try to share a compromised view of the Bible (progressive creation / theistic evolution) simply do not know what they are talking about. In many discussions, Russell has seen that being equipped with answers to the Christian faith gives people a clear understanding of their need for the good news. 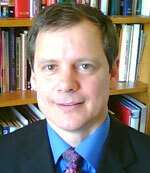 Russell has worked as a pastor and industrial chaplain. He resides in Adelaide with his wife and children and is a part time speaker with CMI. He enjoys reading, scuba diving and sailing.